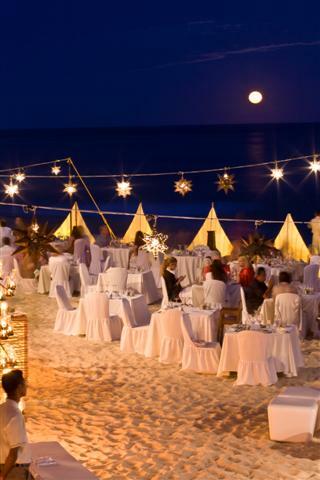 Marquis Los Cabos Resort Introduces Astronomy Night with Mayan Celestial Lessons, Beach Lounge Party, Live Latin Music, Bonfire, Canapés and More. The 237-suite beachfront Marquis Los Cabos Resort is located on the southernmost tip of the Baja California península, where the Sea of Cortez meets the Pacific Ocean, and is minutes from the authentic Old World village of San Jose del Cabo as well as the lively town of Cabo San Lucas. The resort features a 15,000 square foot holistic spa and fitness center, an exclusive gourmet restaurant where a Michelin-pedigreed chef prepares a nightly prix fixe menu, and an extensive collection of Latin American sculpture and painting on display in public areas and guest suites. Since its 2003 opening, Marquis Los Cabos has earned the travel industry's most coveted awards including "World's Best" (Travel + Leisure); "Gold List Award" (Conde Nast Traveler); "Best Value" (Travel + Leisure); the AAA Four Diamond Award, and the Five Star Diamond Award for its Canto del Mar restaurant. Marquis Los Cabos is a member of the prestigious Leading Hotels of the World and the only member of Leading Spas of the World in Los Cabos.